Registration is Now Open for the 2019 Making a Difference Golf Tournament! 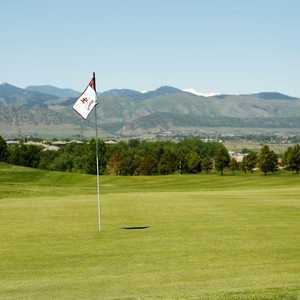 We’re excited for this year’s golf tournament where we’ll be back at Highlands Ranch! We look forward to making this year’s tournament even more fun. Join us again this year as we play to make a difference in Burkina Faso, Haiti, Zambia and Zimbabwe. We are so grateful that our 2018 golf tournament was our most successful yet! Thanks to our generous sponsors, donors, players and volunteers, we made over $9,000 for ministry. Praise God! We have a variety of sponsorship opportunities. 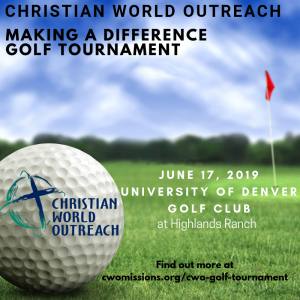 Click on the sponsor link below or contact us at information@cwomissions.org for more information. We are grateful for our sponsors! 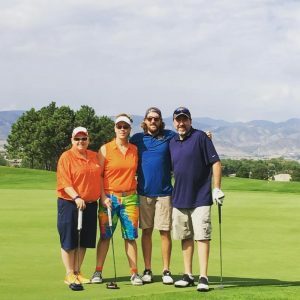 Click HERE to sign up a foursome. Click HERE to sign up as an individual player. Click HERE for sponsorship details. Click HERE to sign up be a sponsor. Click HERE to sign up to be a sponsor. It’s going to be another amazing day!